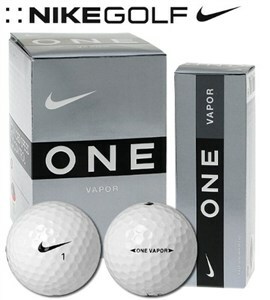 Here's a sweet ball to play -- and it fits right along with my aversion to Nike. Let me be clear, though. I never allow a brand to skew my thinking into blind acceptance. If you doubt me, read my betrayal review of the Nike Slingshot Irons. This ball, however, was very nice. It's no One Tour, by any means -- as it has a solid core, 3-Piece ball, and not a 4, and it is made of seamless ionomer and not urethane. This produces a "cheaper" feel to the ball (some say), but I honestly don't know if I could tell the difference at my level. The biggest plus for me was the amount of ball I got for the price, without having to cater down to a "Power Distance" or a "Juice," for Pete's sake. All-around good ball that feels really good to putt as well. They provided consistent distance for me, especially when I tried slowing my swing down and trusting my clubs -- as the balls truly belong to a golfer with moderate swing speeds. This ball would be well worth the money.